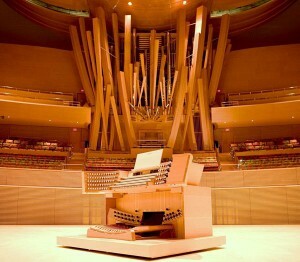 Josh recorded his 20123 release “Bombasia” on this incredible pipe organ. 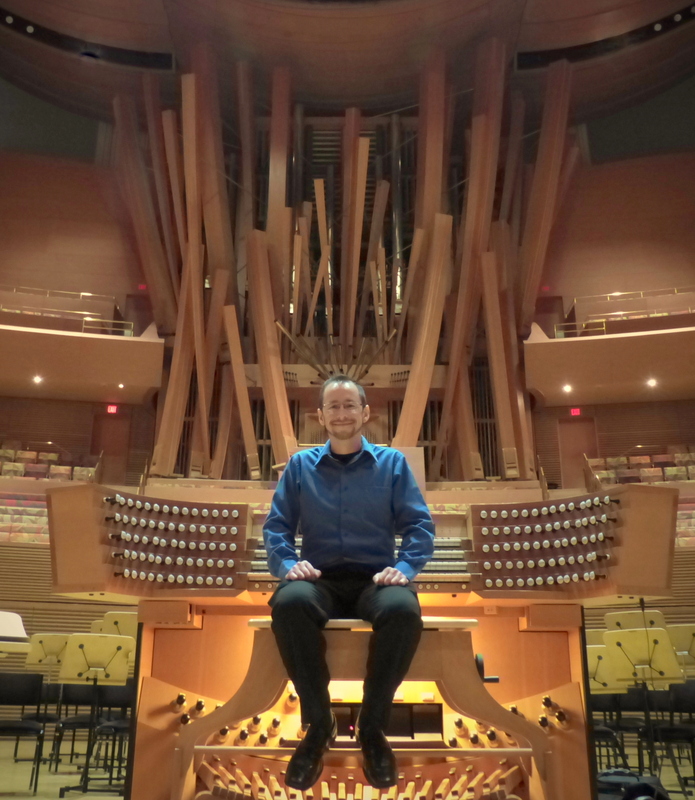 by Josh Perschbacher – My road to the Walt Disney Concert Hall Organ started almost as a dare from a Facebook friend. I was looking around for pipe organs to record when someone suggested I look into one of the most improbable instruments. The Walt Disney Concert Hall is one of the most prestigious venues around. It’s the west coast version of Carnegie Hall. So I just sent an email asking if I could and it just snowballed from there. The organ builder heard my previous albums and he passed along his recommendation to the management of the hall. They gave me a good price to rent the hall for three days to record so I jumped on board! My organ music is a little different than everyone else’s. I use a computer the play the notes instead of my hands. It gives me much more control over every aspect of the performance. It also gives me superhuman abilities to things that no human can do. By utilizing MIDI I’m able to take a symphony and apply it to the organ as if the organ was an orchestra. I can assign parts from the orchestra to play on the organ keyboards I choose. With the Disney Organ I had 5 MIDI channels to work with. So I took the woodwinds, brass, and strings, and divided the parts up to make the most use of the organ while still maintaining the original orchestration. Also with midi I couldn’t just plug the notes in and let it play. When people play music there is always an expanding and contracting tempo. It is never static. A computer will play the notes static. Part of my job is also to program those subtle human elements back into the music. About Josh Perschbacher – Josh self-records his CDs. His last 3 releases (Sinfionetta, Carnivale and his new release, Bombasia) were mastered and replicated by Real 2 Reel Studios. You can find out more about Josh and his musc by visiting his website or find him on Facebook. Real 2 Reel has been in business since 1976 so we get many questions about the way things were done “back in the day”. Recently, we’ve received a few questions about how a famous synthesizer line in a 1976 hit was done. While it wasn’t recorded at our studio it was played by our friend, Sloan Hayes. 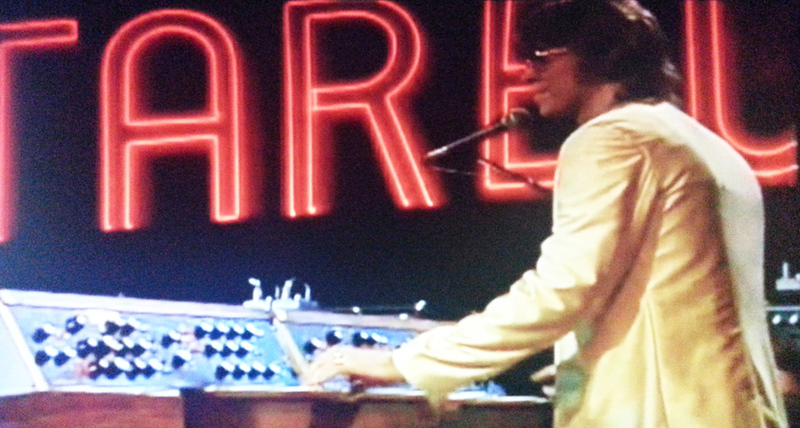 Sloan was the keyboardist for Starbuck, now a session player and member of Abel, Rawls & Hayes. Sloan played the memorable melody in Starbuck’s smash hit “Moonlight Feels Right“. The song reached #3 in Billboard, #2 in Cashbox and #1 in Record World in 1976. Enough history, on with the story…. So what did he get the Starbuck Minimoog sound? Sloan Hayes provided the following insight. “When “Moonlight” was recorded, synthesizers (like the Minimoogs that we used) were monophonic. That is, they only played one note. You could hit as many keys as you wanted, but only one note would come out. Each Minimoog used three oscillators. Normally, they were tuned similarly to a middle note on a piano; one at pitch, one slightly sharp and one slightly flat. That’s what gave those single notes such a fat sound. In order to play multiple parts like the ones in “Moonlight,” mutitracking had to be done in the studio, and mutiple Moogs had to be used live. I used two Minimoogs and played two of the background lines in the verses and two of the answering lines in the chorus, and (at gigs) David Shaver used another Minimoog to play the third part. The parts themselves were written by Bruce Blackman on his original home demo. Jimmy Cobb, the bassplayer, also used a Minimoog to play the bass part. In all, we used six Minimoogs on stage. The lines during the verses were played (a single note at a time) while the “Cutoff Frequency” knob was turned from the left to the right (clockwise). I suppose it could have been set up to make the filters open and close automatically in sync, but doing it manually was just easier. P.S. 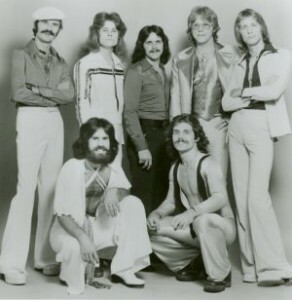 there will be a reunion of many artsits from the 70’s at “The Greatest Yacht Rock Revival In The Universe” on August 18th at Piedmont Park in Atlanta. The lineup includes Gary Wright, Robbie Dupree, Larry Hoppen of Orleans, Peter Beckett of Player, John Ford Coley, Elliot Lurie of Looking Glass, Walter Egan, and, of course, Starbuck. John Patti – A rising star in the steel drum community. In 1998 John was asked to make a special guest appearance at the Meeting of the Minds convention in Key West, Florida. There he had an opportunity to perform with members of Jimmy Buffett’s Coral Reefer band, including his primary influence Robert Greenidge. That event inspired John to pursue his musical passion and he lobbied to incorporate steel drums into the music programs at his local high school and into college. 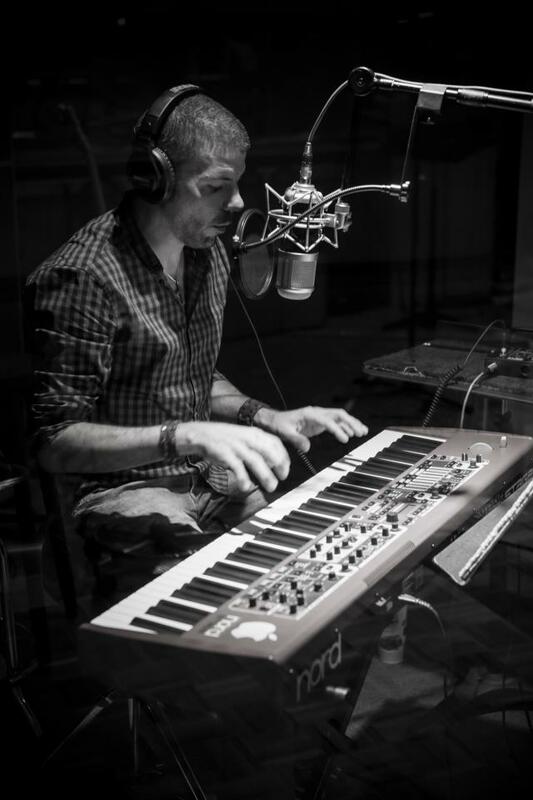 Since graduating from college in ’05, John has been busy combining his knowledge of business with his passion of music to pursue a successful career in the music industry. He released his first solo album in July of 2006 titled ABOVE THE FOLD which blends the warm sounds of the islands with the cool sound of jazz to find a great “island jazz” sound. Soon after his CD release, John joined Holland America Line and their fleet of luxurious cruise ships to travel and perform around the world. 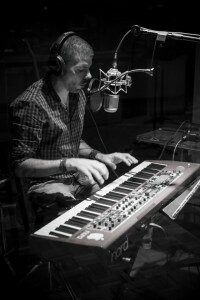 John has shared stages with various recording artists over the years, including Grammy nominated Nadirah Shakoor, CMA finalist for “instrumentalist of the year” Doyle Grisham, Nashville based Michael Utley and world renowned pannist Robert Greenidge, as well as musical legend and inventor Les Paul in New York City. Nadirah Shakoor – Grammy nominated artist. At the tender age of five Nadirah told her parents she wanted to” be a singer like Diana Ross”. Her family migrated from Texas to California where she studied commercial voice and went on to become one of the premiere session singers in Los Angeles and a much sought after back up singer for major tours. In 1992 she joined the Grammy Award winning Hip Hop group Arrested Development as the featured female vocalist. The group changed the face and sound of Hip Hop and received numerous awards including a Grammy, A Soul Train Award and an MTV Video award and was nominated for another Grammy with the success of their 2nd album “Zingalamaduni”. When Arrested Development disbanded Nadirah continued to tour with the groups leader, Speech, in support of his solo career. Speech then produced her solo CD “Soul Power” EMI, Japan. In 1995 Nadirah joined Jimmy Buffett’s Coral Reefer Band as a back up singer in. Her latest musical offering, “Nod to the Storyteller” is a tribute to Mr. Buffett who for the last 13 years has featured her as a part of his sold out mega concerts. Buffett fans (affectionately known as Parrotheads) have come to know and love Nadirah and claim her as their own. “Nod to the Storyteller includes Nadirah’s interpretations of popular Buffett songs like “Margaritaville”, and “Volcano”. Also notable are two duets she sings with him including “Son of a Son of a Sailor” and Eric Clapton’s “When the War is Over”. Kipper Jones – Motown trained as a session singer at 15, during the last of the Berry Gordy era. Lead singer and founding member of the venerable Los Angeles R&B/Funk outfit, TEASE, recorded for CBS/Epic Records, under legendary record executive, Larkin Arnold; Tutored and directed by the likes of Stevie Wonder, Quincy Jones, Kenneth ‘Babyface’ Edmonds, and celebrated R&B icon, Luther Vandross; Performed and recorded with a multi-generational mix of industry lore; Johnny Mathis, The Winans, Anita Baker, Teddy Pendergrass, Brian McKnight, Teena Marie, Eric Clapton, Charlie Wilson, Lauryn Hill, and even Rock and Roll Hall of Famer’s, Sly Stone, and Brian Wilson! But it’s been as a songwriter where the legend of Kipper Jones is most associated. From crafting the platinum initial offering of superstar singer/actress, Vanessa Williams, The Right Stuff, as well as the double platinum follow-up, The Comfort Zone, to the landmark 5 million selling Atlantic Records debut, brandy, which yielded the #1 platinum Kipper Jones compositions, “I Wanna Be Down”, “Brokenhearted”, and the record setting, “Baby”. Along the way, the debut and sophomore releases of Kenny Lattimore, (featuring the initial smash single, “Never Too Busy”), the Warner Bros. greatest hits collection, Epiphany release by R&B icon, Chaka Khan, (including the Funk/Soul classic, “Somethin’ Deep”), “In The Middle” from the iconic motion picture, The Five Heartbeats, as well as original music for the Wesley Snipes produced, Sundance Film Festival Award nominated documentary on noted Black scholar John Henrik Clarke: A Great and Mighty Walk. Had a great time in the studio today. John Patti is working on his upcoming Christmas CD. John enlisted the help of his friends Nadirah Shakoor and Kipper Jones on vocals. Engineered by James Cobb and Will McPhaul. Real 2 Reel was very proud to see an article featuring our studio in the June-July 2012 issue of Clayton Magazine. Real 2 Reel, as you know, donated studio time to Ryan Burton & CURE Childhood Cancer for the song “Sometimes You Gotta Fight” which raised money and awareness for childhood cancer research. Check out the article below. I have pasted the story here on our site to make it easy for you to read. But of course, it was written by Michael Booth. Check it out! IF YOU BELIEVE THAT THE HUMAN SPIRIT CAN CURE DISEASES, THEN YOU CAN BELIEVE IN “SONGS CURE CANCER,” an initiative started in february 2012 by Ryan Burton after his stepdaughter Callie was diagnosed with acute myeloid leukemia. 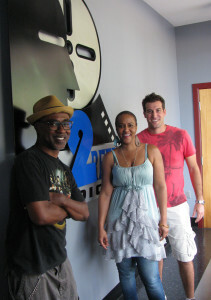 Burton and Canadian songwriter VANN wrote a song called Sometimes You Gotta Fight, which was then recorded during a full week at Real 2 Reel Studios in Jonesboro. 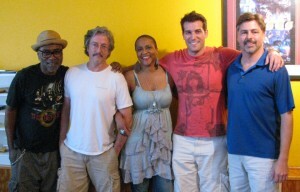 Studio owners Steve Rawls and Bill Turpin donated the studio and their time and efforts in recording the song, bringing in local artists’ David Buice on drums, Sloan Hayes on keyboards, and Wendy Sheffield on vocals. A promotional music video for Sometimes You Gotta Fight was shot at Real 2 Reel during the production process. Burton and VANN had once played in a band called I.C. Red, but Burton had left the music business and moved to Smyrna, GA, from his native Canada. Last September, when Callie was first diagnosed, the Burton family had practically moved into Children’s Healthcare of Atlanta Egleston as she underwent chemotherapy. It gave Burton time to reflect on life, and by the time Callie was released from the hospital, with her cancer in remission, he and his former band mate had written a song about fighting cancer. Sometimes You Gotta Fight is the first of what Burton hopes will be a number of songs featured on the website Songs Cure Cancer (www.songscurecancer.com). Burton started the website asking artists from around the globe to record one song and donate all proceeds to a cancer charity of their choice. “It took us six days, a total of 65 hours, to record Sometimes You Gotta Fight. It is a process. It is not unusual for a song to take that long to record” Rawls said. Real 2 Reel certainly has the expertise to record almost anything. On this rainy May afternoon Turpin and Rawls were getting ready to host a twenty four person choir. This session was not long after completing work with local hip-hop group “Da Famous Boyzz”. “We enjoyed working with them. They are really nice guys,” said Rawls. The digital revolution in audio recording was decades in the future when Turpin started Real 2 Reel in the Stockbridge basement of what he laughingly calls “the Turpin Estate.” “It was 1976, we had eight Tracks and it was as time when audio engineers still had pocket protectors and slide rules,” added Turpin. Over the years as the studio’s reputation grew beyond the basement. Real 2 Reel began offering video production services in 1990. While still in the basement studio Steve Rawls, a longtime friend, was starting an audio-for-video company. “It was 1993 and Bill had a PC computer and 2” 24 track machine,” said Rawls. “I had been in the telecommunications business focusing on technological development in the fast growing computer world and after 14 years just wanted to get out of the corporate world and back into music.” Rawls said he was the second person in Atlanta to buy ProTools, a computer-based audio recording system. Bill Turpin setup a room for Rawls’ new venture in an unused room at Real 2 Reel. AudioMation provided the audio-for-video work for Real 2 Reel. In 2000, the two companies merged. Now, the studio had outgrown it’s basement location and a new studio was constructed. Located in a nondescript row of offices, Real 2 Reel brought in Atlanta’s premier architect and consultant, Les Duncan, to help design the all-important recording and control rooms. Today the studio is a Class A facility due to the meticulous care given to it’s design and construction. Turpin and Rawls delight in showing off their studio and the all important “vibe”. 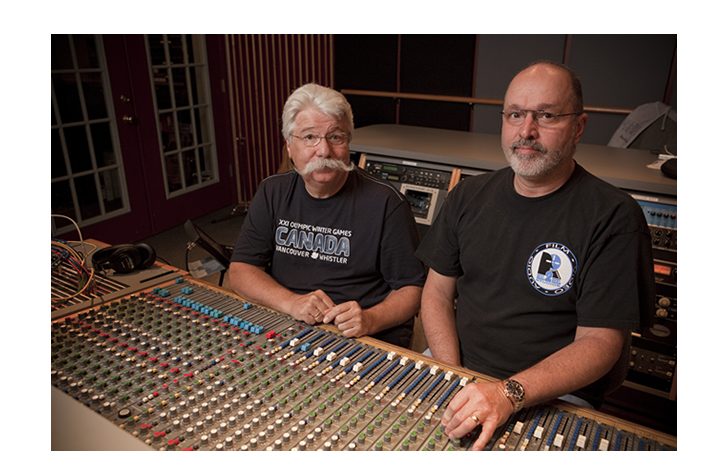 Over the years Real 2 Reel has worked with some well-known Grammy-winning artists such as Kansas, Collective Soul and Toby Keith at it’s studios. “We have done surround sound work for DVD titles for many clients including Martina McBride, Alabama, Kenny Chesney, Rick James and Tony Bennett. Those artists were not at our studio. We provided restoration, surround sound mixing and processing for DVD releases”, Rawls said. Real 2 Reel diversified it’s business beginning in the 90’s. Today they provide complete production services for their corporate and music industry clients. “Because we offer audio, video, electronic, print and manufacturing, we are a one-stop shop for our corporate and music clients. Clients appreciate the “turn-key” service we can offer,” said Rawls.